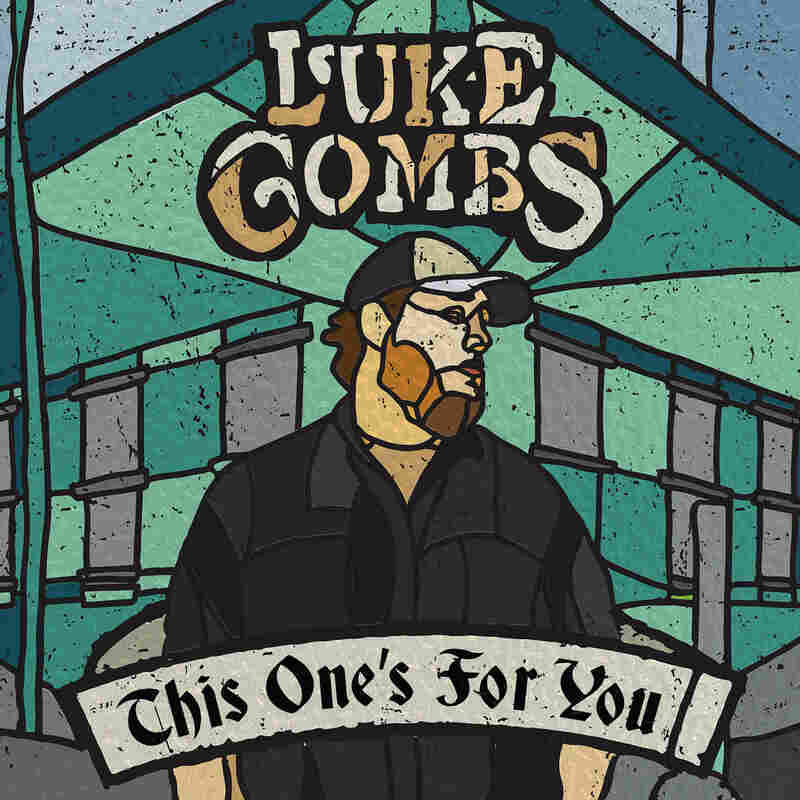 Review: Luke Combs, 'This One's For You' The singer-songwriter proves himself to be an astute student of country music's trends and conventions. For Luke Combs, though, demonstrating current pop fluency and a connection with the sturdy contributions of previous generations of country performers aren't mutually exclusive propositions. The 27-year-old son of a maintenance worker and a prison human resources staffer in North Carolina didn't pick up the guitar until college, but he's quickly emerging as one of country's leading new contenders. On This One's For You, a debut album written and recorded before major labels came knocking, the singer and songwriter proves himself to be an astute student of both the genre's trends and conventions. Combs easily bridges the two with his grasp of Music Row songcraft (he's deft at finding new life in familiar idioms) and his instinct for humanizing songs with his performances. His determination to at least co-write his songs dates back to the disappointment he felt upon discovering that many of the genre's giants didn't generate their own material. In Eric Church, who attended the same school, Appalachian State, roughly a dozen years ahead of him, Combs found a template for channeling a distinct persona into every aspect of the creative process. In his first single, "Hurricane," which climbed to No. 1 at country radio a lot more rapidly than songs from unproven acts typically do, he leans into his recalcitrant drawl even as he executes lilting syncopation over a lumbering drum loop. In "One Number Away," another song about post-breakup vulnerability, he delivers sulky, circling, R&B-schooled licks in his rugged timbre. In the muscled-up boogie "Honky Tonk Highway," he sings "We're gonna load it in, crank it to ten, whiskey shots till 2 a.m. and off to another show," tumbling from hard-swinging phrasing into a punchy triplet, a move right out of Brooks & Dunn's early '90s, arena-rocking honky-tonk playbook. The fact that Combs is getting somewhere right now, at a time when even male country stars are held to a gym-toned, groomed and airbrushed standard, is a sign that the success of a burly, bearded singer like Chris Stapleton may have helped create a space for male performers whose appeal isn't predicated on easily packaged heartthrob potential. Combs projects a lot of other qualities that have been largely missing from the country mainstream of late, like hearty emotionalism (see: his experienced, empathetic bartender offering reassurance to a heartsick day-drinker in "Lonely One") and earthy, self-deprecating wit. "Beer Can" is a blue-collar drinking song, peppered with knowingly cornball word play. In "When It Rains It Pours," Combs takes on the role of the affable, newly dumped loser who can't believe his good luck. Combs puts the guy's bewilderment across with a wink. "I only spent five bucks at the Moose club raffle, won a used four-wheeler and three free passes for me and two of my buddies to play a round of golf," he marvels, setting up the punchline: "And I ain't gotta see my ex-future mother-in-law anymore." Combs strikes a more reverential tone on This One's For You's title track, a red-blooded ballad that serves as a toast to his folks, friends and fans. That sort of expression of gratitude is central to the relationships between country performers and their audiences. And if anybody has what it takes to build a big, broad, generation-spanning audience, it's Combs.